In today’s episode, we talk to B. Mark Seabrooks. The last time he came on the show was at the Labor Solidarity March and Rally that took place just before Thanksgiving. 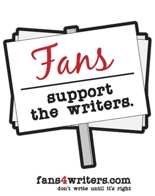 Today we discuss how important the writers' strike is to the American labor movement. Recorded Monday, 3 December 2007. Just a note: in this discussion we touch upon the outsourcing of American jobs. This practice has affected such business sectors such as manufacturing, technical support, airline reservations and tax preparation. Most recently, even local city news reporting was been outsourced to two journalists in India. Last spring, John Macpherson of the on-line newspaper PasadenaNow.com posted a help wanted ad on Craigslist that said, “We seek a newspaper journalist based in India to report on the city government and political scene of Pasadena, California, USA.” The upshot was that he hired two Indian reporters, one a graduate of the journalism school at the University of California at Berkeley. For more information about this, click here.